Tim Burton, famous for his unconventional approach to everything he does, has teamed up with Fall Out Boy and Blink 182 for a music track for the upcoming 3D extravagance Alice In Wonderland starring Johnny Depp, Anne Hathaway, Mia Wasikowsky and others. 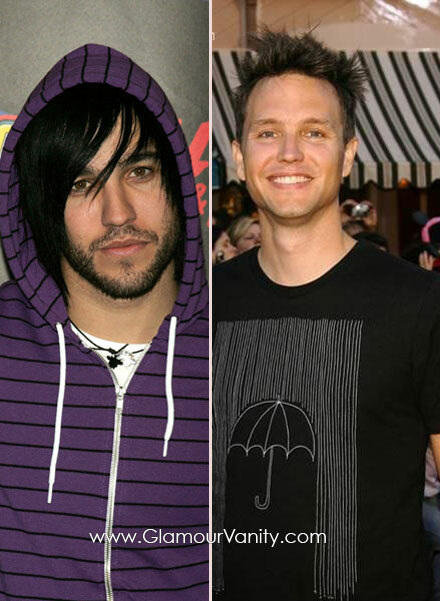 Pete Wentz and Blink 182’s Mark Hoppus have written and performed the track saying it “sounds nothing like” the punk rock hits both bands are well known for. Mark understands songwriting on a completely different level. It’s awesome to have a chance to sit in a room with him and watch him work out a melody,” he noted adding more collaborations might be in the cards. Excited what kind of a new sound the song is! Great cast, great soundtracks, great director, great movie Alice In Wonderland is out March 5, 2010 in 3D.